As the official release of the Microsoft Message Analyzer is here, a new era for troubleshooting and analysis has been defined. The Microsoft Message Analyzer brings a new set of ideas and techniques to make analysis of protocols, log files, and system events allowing you to virtually explore and correlate any kind of structured message data and traces. 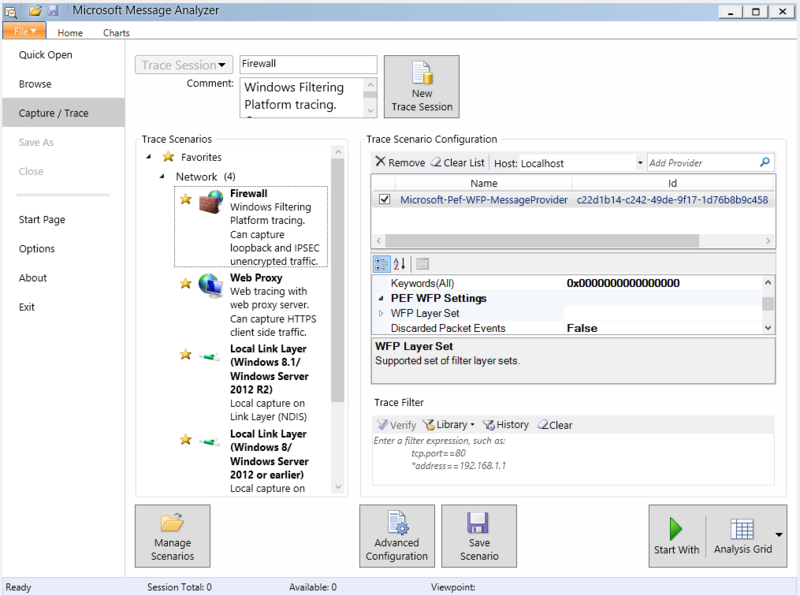 The Microsoft Message Analyzer brings together Event Tracing for Windows, NDIS, Firewall and HTTP Proxy providers to mix and match using Grouping, Quick Filtering or an alternate viewer to see what you want and how it’s connected. You can then save your trace scenario and share it with your colleagues.